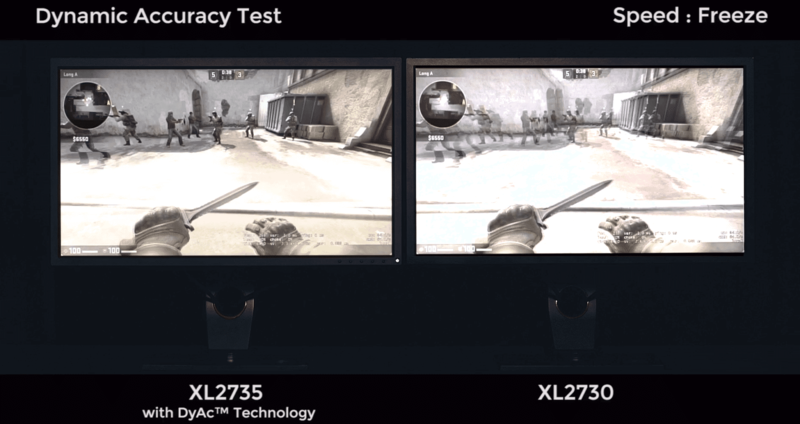 DyAc (Dynamic Accuracy) is a proprietary BenQ Zowie technology which is used on their (higher end) gaming monitors, designed to reduce eye tracking motion blur (see: Blur Reduction Technology) during gameplay. It is the successor to the company’s Blur Reduction, featuring improved performance and clarity. Being able to clearly see what’s going in a fast moving game is of vital importance, so most monitor manufacturers now offer their own proprietary version of blur reduction, usually done via a technique which is called ‘backlight strobing.’ BenQ Zowie’s DyAc utilizes a custom algorithm to strobe the backlight to prevent fast moving scenes from blurring, thus potentially improving your own ingame performance. Modern displays suffer from ‘sample-and-hold’, meaning that frames are displayed until the frame refreshes again, i.e. the image is always ‘on’. Each pixel (which is what the image on the screen is made out of) takes a while to change in brightness and color though, even on monitors with the fastest response times possible. 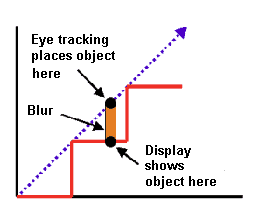 When fast moving objects move around the screen this can cause eye tracking motion blur, since the display cannot respond fast enough to accurately display the objects’ travel line. Our eyes are tracking the fast moving object so fast that our eyes will be at a different position at the start of a frame vs. at the end of a frame. This causes what we know to be ‘eye tracking motion blur’. The only way to combat eye tracking motion blur is by shortening the amount of time each frame is on screen. That’s done by (for example) producing higher refesh rate monitors, but also by what we call ‘backlight strobing’, i.e. turning the backlight off in between frame refreshes, thus shortening the amount of time that a frame is displayed even more. DyAc is BenQ Zowie’s proprietary algorithm for backlight strobing. It’s specifically designed for reducing the blur on very fast and erratically moving objects, such as, for example, when your screen is shaking due to firing a gun with heavy recoil, or when you’re making quick swipes across the screen. This technology, along with the higher refresh rate of their DyAc enabled gaming monitors, results in a much smoother image when compared to traditional non-gaming focused displays. 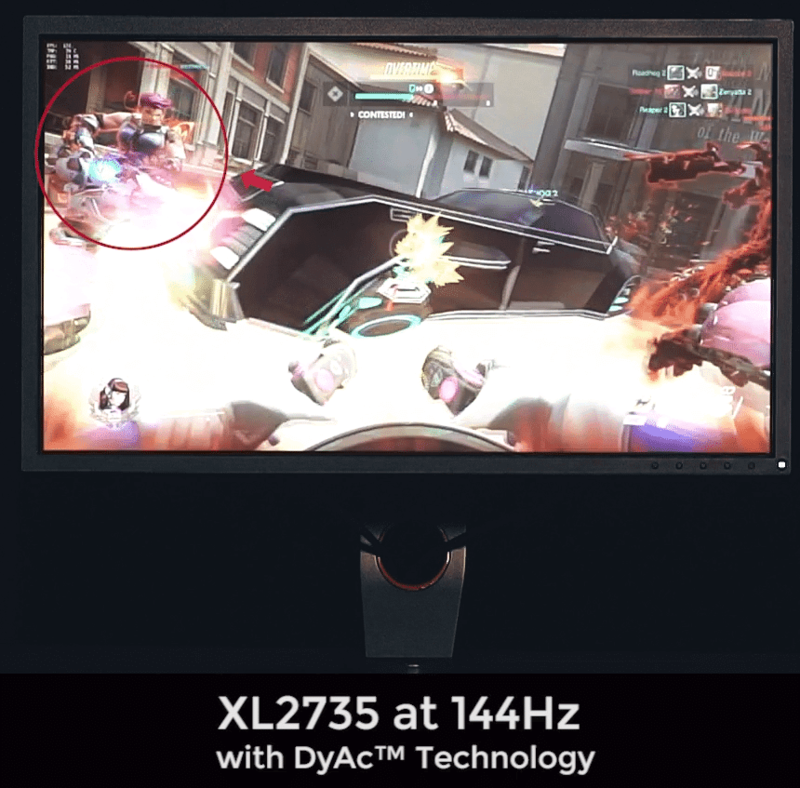 If you look at the images on the right you can see that, even with both monitors outputting 144 frames per second, the enemy Zarya (circled in red) can be seen much more clearly on a monitor with DyAc enabled as opposed to on the monitor without DyAc. In fast moving games this can undoubtedly give you an advantage when it comes to tracking the onscreen action and responding appropriately. DyAc’s flickering is (like most proprietary forms of motion blur reduction nowadays) invisible to the naked eye when it’s on, so it causes no issues with gameplay such as a double image effect. DyAc can be (contrary to popular belief) fully turned off as well, so people who would rather not use it can opt to do so. DyAc was also (according to BenQ Zowie’s limited information on the subject) developed with controlling ‘shocky’ recoil, such as that from the AK-47 in CSGO in mind, though its use obviously isn’t limited to CSGO only. Since the screen refreshes the image much more fluidly when DyAc is active it becomes way easier to track and control your crosshairs when you’re spraying. 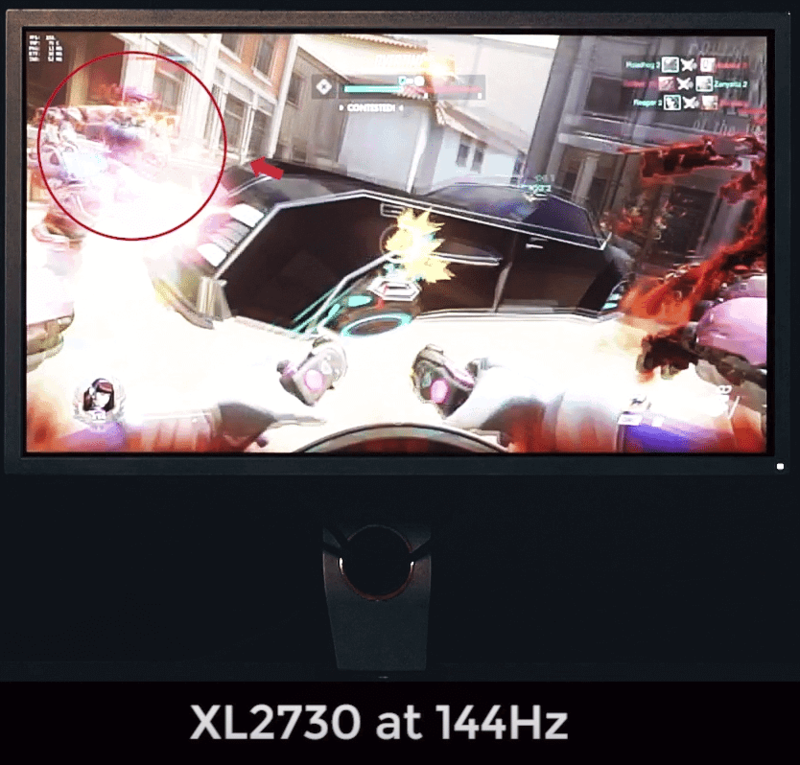 We’ve already reviewed one of BenQ’s monitors which features DyAc (the BenQ Zowie XL2546) so if you want to check that out you can click here. Can u use dyac on PS4 pro at 60hz? In general it’s not worth it to buy a monitor like this for console gaming. They can only reach a maximum of 60 frames per second, so getting a monitor that can display 240 is overkill. I would strongly consider the RL2455 from BenQ. It has a super low response time and is actually tailor made for console gaming! Hi. I am just curious. What is the difference between DyAc and ULMB? Is there input lag when dyac is on? No, DyAc does not cause input lag.